Developing a safe and effective yoga-asana class takes a great deal of thought and can make the difference between a good yoga teacher and a great one. In this module, split across two weeks, we examine how to plan and teach with a conscious intention. In class 1 we examine the different issues with touch - making adjustments and giving assists, and have a hands-on workshop where we share our knowledge. In class 2, we examine what makes an effective sequence, why we choose certain postures, how to deal with varying levels of student in a class and how to build a concept into your class so that it is explored and understood in a variety of ways. You will plan and discuss your own flows and receive feedback and further ideas from the teacher and class. Many yoga teachers are waking up to the potential of connecting with students online and are using a variety of platforms to grow and inspire their group of followers. In this module, you will learn how to build a personal presence through websites, blogs and social media, how to grow a following and how to create meaningful content. We move away from the idea of the internet as a sales tool, and towards understanding its potential for teaching and inspiring. By the time you leave you should have the basis of your own website, social media page or blog and a better understanding of the high potential of online communication. As Yoga teachers we are often great at giving advice to others on how to lead balanced and mindful lives, but can forget these lessons when it comes to us. 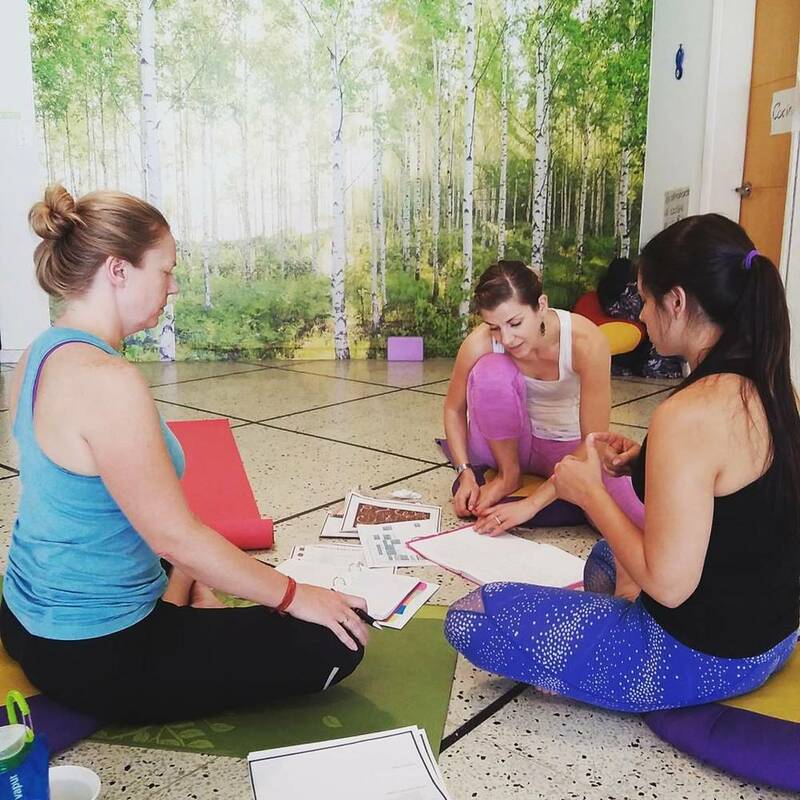 In our first workshop, we take a look at how to take proper care of ourselves, and build nourishing practices into a busy schedule. In the second week we take a look at our personal yoga journey, the lessons we have learned along the way, and think about where we are heading in the future. In the second half of the course we discuss the basis of any firm Yoga practice - the yamas and niyamas from the second book of the Yoga Sutras. We ask ourselves how we can make them a key part of a busy life, and how they can influence our work as Yoga teachers.